Sauvie Island Organics started in 1993 with one small acre and two hard working women. We sold our vegetables at the Portland Farmers Market and to three area restaurants. As our experience grew so did the demand for locally grown produce. In 1996 we expanded to three acres, bought our first tractor and incorporated a 30 member CSA into our marketing mix. Today we grow on 25 acres, employ dozens of hard working crew members and own 4 tractors. We nourish hundreds of households through our CSA program, deliver to dozens of area restaurants and several college campuses and in the winter can be found at the Hillsdale Farmers’ Market. JFR’S first walking interview. Visit Oregon Olive Mill and get some olive oil. Bob Wiker from Old Homestead Farm joins me on this episode of JFR. The Michigan Urban Farming Initiative operates urban farms in Detroit. This is a great group of young folks committed to urban farming and reinvigorating the city of Detroit. In this Skype conversation Molly Hubbell- Vice President and Pinky Jones – Farm manager talk with me about urban farming, the struggles of intercity folks to access food in a bankrupt city. You should be giving. A great place to give, if you’re into food, is your local food bank. In this episode I visit with Larry Welsch of the Chester County Food Bank. Larry gives me an overview of the food bank system. Did you know that over 10% of the United States population receives some sort of food assistance? We talk about that and more on this episode. So get out there and give; your time, your money or your food, it doesn’t matter, people need to eat. Theresa Mycek manages Colchester Farm in Georgetown, Maryland a 10 acre non profit vegetable farm. Theresa has been at the farm for over 5 years. This is a great interview with a lovely person who has followed what I’d call a classic small farm career path from intern to farm manager. The Foodie Farmer- Jenny Schmidt and Her Husband Hans. The Schmidt’s are extremely active in the farm industry as advocates for agriculture in general and are focused on trying to dispel some of the myths they see as villainizing family farms and larger farm enterprises. Visit Jenny’s Facebook page and her blog The Foodie Farmer. This is a fascinating conversation with the owners of an extremely large farm and believe me, it’s all about family. I think they think just like I do with just some extra zeros on the ends of their numbers. 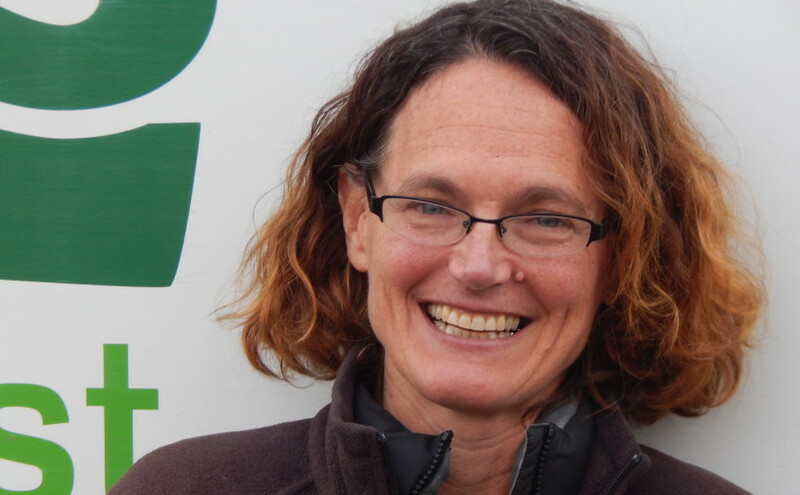 Format AudioPosted on October 15, 2014 January 1, 2016 Categories podcastTags agribusiness, contract farming, conventional production, couples farming, family farms, GMO, vegetablesLeave a comment on The Foodie Farmer- Jenny Schmidt and Her Husband Hans. In this episode I talk with Alison Howard of Homestead Farms in Millington, Md. Homestead Farms is a USDA Certified Organic produce and small grain farm. Allison shares her experience with starting Homestead with her husband, Luke. This is a very good conversation which includes the subtle struggles of a true working farm: paying the bills through scale; the ego battles of the farmer with herself; the fact that farming is a commodity business and the mixed messages that consumers send to farmers. Thanks to Tin Bird Choir for the music and to Tek Management for sponsoring the episode. I visited several food industry people on the Eastern Shore of Maryland this spring. This is my conversation with Steve Freeman a traditional seedsman who supplies his farmer clients with seeds and service. This is an interesting discussion about the practical aspects of supplying seeds and the seed industry. A big takeaway from this is that selling GMO seed isn’t always easy. This episode is brought to you by the generous support of Technology Management Phoenixville, Pa. Recently I talked with Lisa Kershner from North Star Orchard in Cochranville, Pa.
North Star is synonymous with fruit and producer only farmers markets in the Philadelphia area. They seem to be at all the best, busiest markets. Lisa and her husband Ike have grown their orchard business along with the growth in the local food movement. North Star is no hobby farm; it’s the real deal. This is an innovative business. They aren’t afraid to try new things; they are excellent marketers and they aren’t afraid to evolve as the local food industry changes. This episode is brought to you with the generous support of Technology Management, Phoenixville, PA.
Jenny Rhodes Is an Eastern Shore chicken farmer and a Maryland Coop Extension educator. 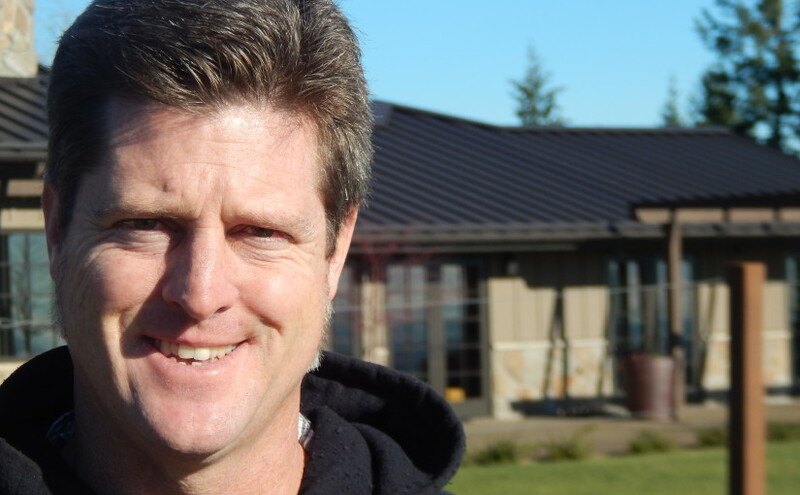 Erich McEnroe from McEnroe Organic Farm joins me on this episode of JACKS FARM RADIO. Farming over 1000 acres in the Harlem Valley, New York, McEnroe Organic Farm is committed to organic and sustainable agriculture. The farm produces certified organic produce, meats and garden transplants. Our compost and soilis approved for organic production and available in bulk, wholesale, and retail. Our Farm Market carries farm grown meats and produce, a wide selection of organic and specialty groceries, prepared foods, and fresh baked goods. We offer daily lunch specials, and catering for events large and small. In the Nursery you’ll find a full range of annuals and perennials for your edible and decorative gardening and landscaping. Our Education Program promotes an awareness from field to fork by using the farm as a classroom. In 1986 Terry Brett was running a humble farm store in Chester County, Pennsylvania, selling organic yogurt made on-site at a biodynamic dairy farm, now known as Seven Stars Farm. During the ensuing 27 years he has grown that store into a group of natural grocery stores that actively reflect his commitment to local farming and his prioritization of organic and fair food. Kimberton Whole Foods is now a multigenerational family business and continues to grow while maintaining a passionate commitment to integrity and sustainability in agriculture. True friends of the farmer, KWF is regularly honored for our ethical business leadership and meaningful contribution to regional sustainable agriculture. Tom Reinhardt from Nev-R-Dun Farm joins me in this episode. This is a lifestyle farm in Westminster, MD. The goal of the Nev-R-Dun Farm cooperative is to provide organically grown produce to Carroll County residents along with the neighboring counties. As the demand for fresh organically grown produce increases, the amount of such produce available is less than adequate. We hope to do our share in offering such produce. Most produce that is available for sale in supermarkets is disappointingly bland and over-mature. We have found that many types of heirloom vegetables are over-whelmingly more flavorful than the market types. Beyond this, nothing beats the freshness of just harvested produce. It is one of our main goals to provide only the freshest and best tasting produce available. To attain this goal, we are constantly experimenting with new varieties, in order to discover a hidden gem. Our primary target customer is the individual person or family that is in search of the freshest and most flavorful produce. If you consider yourself to fall into this category we look forward to meeting you one on one. Kevin Folta from The University of Florida joins me on JFR this episode. Kevin is an expert on GMO in food production. I’m a plant biologist. My job is to contribute to the understanding of gene function, then use this knowledge to inform crop improvement. In the long run I hope to guide the development of better plants that produce more nutritious food and with less environmental impact. Undergraduate and public education are a huge part of my program. If we are going to feed the world and save the planet it is going to require bold new technologies and we will need their support. Many fear technology when applied to food, and the skepticism is healthy. However, a dose of unfounded fear is hampering productive progress in adoption of these safe technologies. I hope to use science and evidence to win the hearts and minds of those that are uncertain of the scientific interface with food. John and Amy Good of Quiet Creek Farm are a true organic farming success story. I talked with John recently and he shared his enthusiasm and true deliberate journey in farming. John is an articulate guy and this is a really good story. Listen! I talked with Mike Nolan from Earth Spring Farm recently. My farming days started back when I was a kid in 7th grade. My parents were friends with a local beef farmer who was also helping out with the Dutchess County 4-H club in New York. He wanted to help the club grow and approached them about having me join and raising a beef steer on our property. My parents have 15 acres and and 2 barns where they run a landscape company so it was pretty easy to set up an area for the steer. But the real love of farming kicked in the following summer when I was invited to work and live on a large farm in the next town over and learn how the whole process of raising your own food really worked. We were up at 5 and worked until dark cutting and baling hay, feeding and watering the animals and preparing fresh chickens for dinner. Plus the girls in the family were both top cattle show people in the state so I learned all about prepping the steer for the shows at the fairs. My brother and I raised cattle for 4 years before deciding that sports would take more time than I had for the farm. Fast forward to college where I studied Landscape Architecture in anticipation to go back home. But towards the end of my studies I became increasingly more interested in the most practical aspects of design, especially after a semester in Denmark. Ideas like slowing urban sprawl, less cars and more bicycles, small scale urban food production were starting to set in and I knew I needed some time off after graduation to figure out what I really wanted to do with my life. So I joined the Peace Corps! I was to be an agricultural extension agent in Togo, West Africa – where was that anyway? Togo was just what I needed – I remember clearly when I realized what it was I would be doing. I was at the farm of an African friend named Leonard and saw how content that he and his family were (they had one of the best farms in the region) and thought, yes I need this too when I get home. Leonard and I did a lot of work together and created a school where other farmers could find out how they too could be successful with improved farming techniques. After 3 years in Africa I found myself headed to Austin, Texas but with little planned – just thought I would check it out for a year or two. So for 2 years I hung out and worked a couple different jobs, landscaping mostly, did the wild 20�s thing and had a lot of fun in that great city. In the third year there, 2001, a friend invited me to live on an organic vegetable farm he owned and I moved in with his manager. It was a beautiful 9 acre plot in the city on Boggy Creek and close to the Colorado river that runs through Texas. It was really nice at Oasis Gardens Farm and the pace was perfect for me as I was unwinding and seeing more clearly about what it was that I was supposed to be doing. The manager, Visal, and I became friends and he taught me a lot about Community Supported Agriculture. He ran Oasis as a complete hands-on membership and every Sunday 20 or 30 people would show up at the farm and work together to plant, weed and harvest the produce at the farm and split it up. Once a month we had vegetarian potlucks and it was a very energetic and close community of people. After 2 years Visal left Texas to homestead in Mexico and the reigns to run the farm were handed to me. For the first year I was clueless but managed to pull of the responsibility. By the second year I started to grow the CSA membership to include a delivery route in Austin. And by the fifth and final year, 2006, the hands-on membership was doing all the labor for the delivery members in exchange for their produce. I even met my wife there at the farm- and we had our baby there with our mid-wives. More than anything, Oasis became a fun place to work, learn and teach about farming! I was hooked. We almost stayed there in Texas at Oasis. The farm was for sale but we couldn�t afford the purchase price. After having Sage, our girl we decided to move back East where we both had family and lots of old friends. About 9 months after we moved here I stumbled upon Earth Spring. It has a great location in Cumberland County right at the northern end of Michaux State forest. The forest is a real gem and the South Mountains are always within view of the farm. So far it has been wonderful to be in Pennsylvania. The agricultural history and resources here are immense and we feel that being back East has already been a rewarding move. At least for me – I love the 4 seasons and all the snow again! Diem is the glue and grounding force here at the farm and at our home. She is mother to daughter Sage (4) and wife to husband, Farmer Mike. Diem is originally from Vietnam and immigrated to Harrisburg in 1985 with her family. After successfully completing her High School studies she enrolled at Penn State for studies in Pre-med. But after graduating she became disillusioned with the health system that she saw working in an area hospital. And thus started her journey back to her roots in acupuncture and herbology under the auspices of Oriental Medicine. Diem, at about the same time as, but unbeknownst to, Mike, packed up her car and drove from the Northeast down to Texas to start her studies at the Academy of Oriental Medicine in Austin. I visited with Andy Andrews from Pennypack Farm and Education Center in the Philadelphia Suburbs. Andy has done a great job of growing the farm over the past 8 years. In 2001, the Natural Lands Trust suggested that we contact The College Settlement of Philadelphia who own the largest tract of open space in Eastern Montgomery County. The Board of this nonprofit camp had recently completed a land study and was looking for a way to have community based farming on a plot of 27 acres on Mann Road in Horsham. The partnership between us grew. and in 2003 we signed a lease that formalized our intent to farm their land using organic practices and provide farm-based programming for their summer camps and Outdoor School. I first learned about Robyn O’Brien through a random internet search. She has a really good TED-X talk about food allergies and their link to food. In her book, The Unhealthy Truth, she shares her story about her children’s food allergies and the fight to overcome them. 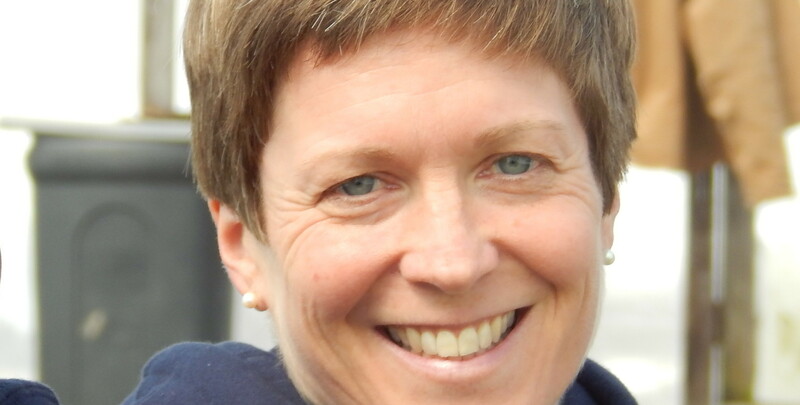 I talk with her about food, food allergies, disease and global health and food trends. She is a best-selling author, public speaker, strategist and mother of four. She brings insight and detailed analysis to her research on the health of the American food system as documented in her first book, The Unhealthy Truth, and has been called “food’s Erin Brockovich” by the New York Times. Her work has appeared on CNN, the Today Show, Good Morning America, FOX News, in the Washington Post and countless media outlets, and she currently writes a popular column for Prevention while serving as the Executive Director of the AllergyKids Foundation and doing strategic advisory work for companies making trend-setting changes in the food industry. Robyn has been named by SHAPE Magazine as a “Women To Shape the World”, along with First Lady Michelle Obama, by Forbes Woman as one of “20 Inspiring Women to Follow on Twitter,”and by The Discovery Channel as one of its 15 Top Visionaries. Her TEDx talks have been widely received. Recruited by institutions like Enron and the oil and gas industry, Robyn grew up in Houston before moving to Colorado and is the founder of the AllergyKids Foundation, a 501 c3 non-profit. The mission of AllergyKids is to make clean and safe food affordable to all families. Her focus is on restoring the health of American families in order to address the burden that disease in placing on our economy. AllergyKids addresses the needs of the 1 in 3 American children that now has allergies, autism, ADHD and asthma and the role that additives in our food supply are having on our health. The Foundation also works closely with those fighting cancer, particularly those with specific dietary needs. On Mother’s Day 2009, Random House published her acclaimed book, “The Unhealthy Truth: How Our Food Is Making Us Sick and What We Can Do About It” and today, Robyn is regarded as a food and health expert and sought after speaker who lectures and writes extensively, addressing the economic burden that disease is placing on our families, our companies and our country. Robyn earned an MBA on a full scholarship, graduating as the top woman in her class. And today, her work is recognized and supported by renowned individuals such as Dr. Oz, Robert Kennedy Jr., Ted Turner, Bonnie Raitt and Prince Charles. She serves on the Board of Directors of Healthy Child Healthy World and Just Label It . She also serves on advisory boards for several companies. Since giving her first TEDx talk in which she discusses research she conducted six years ago, the World Health Organization now reports that the U.S. ranks 7th out of almost 200 countries worldwide in cancer rates due to the remarkable efforts to reduce tobacco use in our country. And she firmly believe that while we can’t change the beginning of our stories, we can change the end. And hope is the knowledge that change is possible, even when it seems hard to imagine. John Hopkins and his wife own and operate Forks Farm. They have been in the local food and grass based meat business for a long time. In 1992 we grew our first batch of pastured chickens for ourselves and a few friends. Since then our farm has evolved from a simple newsletter and order form for pastured foods to a community-supported farmer’s market. On market day you’ll meet other local farmers who share our desire for locally-grown, chemical-free, nutritious foods. Through your purchases on market day you become an active participant in the development of a successful, local foodsystem. Every time you buy a dozen eggs here you are not just supporting Forks Farm. Your purchases extend to a dozen other local family farms, providing the glue that holds this local food system together. Our 85-acre farm lies just upstream from the “fork” between Huntington and Fishing Creeks here in Columbia County, Pennsylvania. This is also the site of the famous “Twin Covered Bridges,” the only twin covered bridges in the United States. There are twenty-three of these historic covered bridges nestled within the rolling hills and farmland of Columbia County. While you’re at the farm, you can walk down to the Josiah Hess covered bridge, built by the Hess family in 1876, the original homesteaders of our farm. Local, fresh, healthy, and sustainable. Our goal is to be your local source for fresh, clean, pastured poultry, eggs, beef, lamb, and pork of the highest quality using sustainable farming methods that contribute to the health of our customers, community and environment. Pasture-raised with no drugs. Our animals grow to maturity on pasture without the heavy grain feeding found in feedlots and confinement facilities today. Pasture raising provides our animals a low-stress, high-quality life, improves the soil, and helps maintain the landscape. We don’t believe artificial fertilizers, pesticides, herbicides, growth promotants, hormones and antibiotics belong in our food chain, so we don’t use them. Best nutrition for us. Foods raised from naturally-enriched soils and forages without chemical inputs taste better, keep longer, and are more nutritious than the food products you can buy at the grocery store. Our pasture foods are lower in saturated fats, calories, and cholesterol, and are higher in essential fatty acids and vitamins. Spiral Path Farm, owned and operated by Mike and Terra Brownback is a 200 acre plus USDA Certified Organic vegetable farm in central Pennsylvania. The Brownbacks recently erected 4 acres of high tunnels on a separate piece of property. As with every operation I’ve talked with both large and small with Spiral Path it’s all about family. These are forward thinking folks that exude passion for growing vegetable organically. Very good business people, the Brownbacks have evolved Spiral Path into an extremely large and successful vegetable farm. Spiral Path markets about half of their produce through a CSA concept. The rest of their production is sold via wholesale channels. They started their CSA in 1994. This is a discussion with two pioneers in the organic vegetable industry who are committed to excellence. You’ll learn a lot from this one. Wild For Salmon is a local business that makes fresh/frozen wild Alaskan sockeye salmon available to you at a common good price. Because we are the fishermen and we are local, we are able to provide you with the highest quality, flash/frozen, Alaskan sockeye available. Wild For Salmon is owned and operated by Steve and Jenn Kurian of Bloomsburg, PA.
Wild For Salmon began as only an adventurous trip to Alaska in 2002 to do some commercial salmon fishing with a friend. Following our first fishing excursion, we arrived home with 2 coolers of salmon for our friends and family. This is when we quickly realized the uniqueness of the product and the possibilities that lie ahead. We have grown to serve individuals, buying clubs, local farm markets, restaurants, and health food stores. Because Wild For Salmon has increased its sales by an average of over 20% per year over the last 4 years, Steve and Jenn have recently purchased their own boat and commercial fishing permit for Bristol Bay, AK. June and July are busy months on the boat. The fishing season lasts approximately 5-7 weeks. Steve is the skipper of our 32’ boat, while Jenn, the first mate, and two other local men are deckhands. While on the boat, we listen to the satellite radio to hear the official fishing periods. As we catch the salmon they are kept in refrigerated holds, making sure the quality is preserved. Every 10 hours we offload our fish onto a larger crab boat which takes the fish in for processing. It is quickly filleted, flash frozen, and vacuum sealed to capture the “direct from the boat” flavor. After fishing, the salmon is sent back to PA where we sell the salmon at local farm markets and other venues. We created this business to provide natural, sustainably harvested salmon products of superior quality, priced for the common good. We offer wild, Alaskan sockeye salmon because we believe the health benefits received from wild salmon are an essential part of our mind and body health. As the fishermen, we are able to experience the beauty of Alaska and participate in the native culture of the land. As the demand increases for wild salmon and Omega3 rich diets, we are proud to be able to make this product available to you at an affordable cost. Wild For Salmon is delighted to be able to supply you with the best sockeye salmon in the world. Our tireless hours of commercial fishing are rewarded with your love for our product. John & Kira’s is a Philadelphia based confection company owned and operated by John Doyle and his wife Kira Baker-Doyle. John talked with me about his rise from creating chocolate delights in his studio apartment to his current muti-million dollar chocolate manufacturing facility. Through the good fortune of a meeting with a magazine editor, John & Kira’s growth exploded. The candy business is seasonal. John tells me that John & Kira’s does half of their yearly sales volume in the November-December holiday season. We have a revealing conversation about manufacturing chocolate for a peek sales season of just four weeks a year. Marketing is a big part of the confection business and John & Kira’s does marketing really well. John talks about differentiation in the chocolate business. With beautiful packaging and extremely creative, earth and nature inspired chocolates J&K product stands out in what could easily be argued is a commodity industry. This interview is a really good lesson in good business practices that can be applied to virtually any industry. John & Kira’s is a socially innovative chocolate company dedicated to both making and selling world class confections and promoting positive social change. Co-founders John Doyle and Kira Baker-Doyle both felt the itch to start an entrepreneurial venture back in September, 2000. John, after a short stint in banking, made a career switch into the kitchen at various restaurants in Manhattan and Philadelphia. Kira was completing a Masters in Education at the University of Pennsylvania and working closely with an urban school garden project. After over a year of research and experimentation, the pair developed an all natural line of chocolates so delicious and unique that Gourmet Magazine placed them on the front cover of their publication in 2003, and praised them as their �?favorite chocolates’. John & Kira’s quickly became nationally known as a premiere gourmet chocolate company in the United States, both for their fresh confections and their pioneering social mission. – pistachios grown, harvested & roasted on family owned & operated Eagle Ranch in NM – organic earl grey tea from a Sri Lankan employee-owned cooperative. Since the 2003 Gourmet Magazine article, John & Kira’s concept and the company have grown steadily. They have expanded their chocolate line to include chocolate ladybugs and chocolate filled figs from an organic, family-owned farm in Spain. Their chocolates, recently featured on the Martha Stewart Show and in Oprah Magazine, are available online at www.johnandkiras.com or by calling 800.747.4808. Format AudioPosted on February 3, 2014 January 1, 2016 Categories podcastTags chocolate, Farmers Markets, highly seasonal business, labor, marketing and sales, Urban Farming2 Comments on Chocolate! Yael Lehmann, Executive Director of The Food Trust and Mukethe Kawinzi, Project Manager in charge of farmers markets join me on this episode. The Food Trust’s mission is to ensure that everyone has access to affordable, nutritious food and information to make healthy decisions. Working with neighborhoods, schools, grocers, farmers and policymakers, we’ve developed a comprehensive approach to improved food access that combines nutrition education and greater availability of affordable, healthy food. The Food Trust was founded 20 years ago with a simple idea: healthy change. There were neighborhoods throughout Philadelphia where residents couldn’t easily buy healthy foods like fruits and vegetables. And science shows us that people who live in these underserved neighborhoods are more at risk for serious diet-related diseases like obesity. The Food Trust – then known as The Farmers’ Market Trust, an off-shoot of Philadelphia’s venerable Reading Terminal Market – began with one farmers’ market at Tasker Homes, a public housing development in South Philadelphia. Once a week, with the help of the Tasker Homes Tenant Council, we set up one long table overflowing with produce. It was the only source of fresh fruits and vegetables in the community. “People hadn’t seen that kind of quality produce in their neighborhood before,” The Food Trust founder Duane Perry recalls. In the two decades since the opening of the Tasker Homes market, The Food Trust has worked with neighborhoods, schools, grocers, farmers and policymakers in Philadelphia and across the country to change how we all think about healthy food and to increase its availability. Together, we’ve brought supermarkets to communities that have gone decades without one. We’ve helped corner store owners introduce fresh produce, low-fat dairy and whole grains. We’ve taken soda and junk food out of schools, and we’ve taught students to appreciate foods like apples and cherry tomatoes. A recent study by the Philadelphia Department of Public Health found that – for the first time in decades – the obesity rates among Philadelphia school children decreased by 5 percent between 2006 and 2010. This is one of the first studies showing a reversal of the country’s troubling obesity trends, and it suggests that together, we have found a key to obesity prevention: a comprehensive approach that combines nutrition education and increased access to healthy foods. 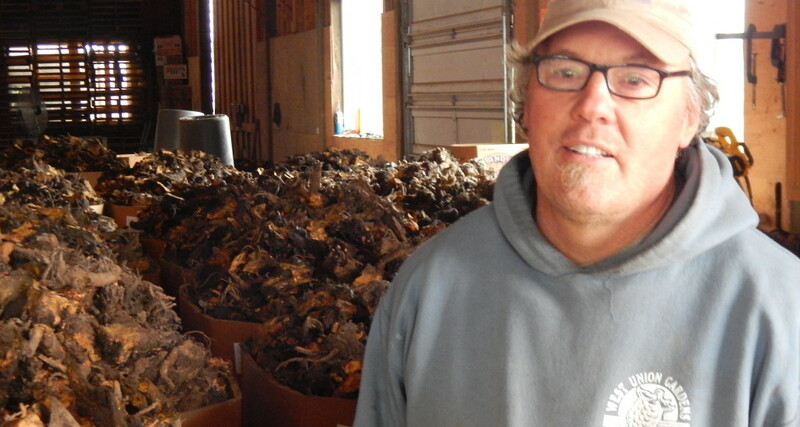 George Brittenburg from Taproot Farm joins me in this episode. Tap root is an 11 acre mixed vegetable and egg farm. He’s a thought full guy who’s built experience over time in different farm settings. George, his wife and kids live at this leased farm and you’ll hear an interesting story on how they found the property. We kibitz about the nuts and bolts of farming including cover crops, raising egg layers, some economics, labor and more. This one’s pretty good. I pushed him pretty hard with the questions. Thanks George! David Siller is a forager. He hunts for, finds and then carefully guards the locations of his most prized items. Wild edibles exist almost everywhere and are in abundance if you forage for them. Edible wild food has naturally grown in almost every corner of our planet for tens of thousands of years. Edible weeds, flowersand wild herbs were foraged and used as food (as well as medications); and they provided all the vitamins, minerals and other nutrients required for the human body to maintain good health. Foraging for food used to be the way to survive. There’s a plethora of wild herbs, weeds, flowers, shrubs, trees and vines all safe to eat so long as you identify them properly and know what part of the plant is usable. Mary Seton Corboy is a true pioneer in the Urban farming movement. In this episode we get a glimpse of how she and a partner started Greensgrow Farms in Kensington, PA. Kensington is is right off of I-95; something like a mile or 2 from downtown Philadelphia. Greensgrow has grown from scratch. She shares the Greensgrow story and its evolution. From finding abandoned land and the politics behind to it’s current iteration. Greensgrow is something more than and different than a traditional urban farm. The concept of urban farming isn’t new. There are multiple examples of Urban farming in virtually every city in the United Sates. Greensgrow Farms was one of the first to experiment with this concept. Urban farming promotes healthy communities and provides food security for many low income persons. In an urban setting, community gardens are part of the open space network. The gardens and those who participate in urban farming contribute to the preservation of open space, provide access to it, and create sustainable uses of the space. The idea is to strengthen community bonds, provide food, and create recreational and therapeutic opportunities for a community. They can also promote environmental awareness and provide community education. Greensgrow is a not for profit enterprise. They use the non profit model to help experiment with some inner city food programs. Once you talk with Mary you’ll fall in love. Recently I traveled to State College, Pa for a visit with Brian Snyder. Brian is the Executive Director of The Pennsylvania Association of Sustainable Agriculture. This “trade association”, focuses on education and advocacy. PASA represents the local, sustainable agricultural movement. It is probably the strongest and largest group of it’s sort in the United States. It is unique because it is primarily funded through member support. Brian is the driving force behind this organization. He has a thoughtful approach to his points a view. He wields much influence within Pennsylvania’s agriculture industry, the Mid- Atlantic and beyond. I consider it an honor that he took time to talk with me. Thank you Brian. PASA holds an annual Farming for the Future Conference that is really quite spectacular. This year’s 3 day event, held at The Penn Stater Conference Center in State College, PA will be it’s 23rd. The conference is attended by farmers, friends of farmers and folks in the farming industry. It is loaded with educational seminars about sustainable agriculture. The conference is a winter tradition for many east coast farmers and is typically attended by folks from all over the country and in fact the globe. Attendance is in the thousands. Over my business career I’ve had the opportunity to go to some powerful conventions including The National Hardware and Home improvement Show, once the largest show in the USA, The National Kitchen And Bath Show, numerous Wholesale lawn and garden shows, Electronics shows and more. I can unequivocally say that the positive vibe and approachable nature of this convention is at the top of it’s class. Quite frankly, it’s really cool. I am not being compensated for this in any way yet I must say if you are interested or involved in the local food movement, sustainable agriculture in general or even just a proponent of simple living YOU SHOULD GO to the PASA winter conference. Today my cousin David Runk joins me to reminisce about the family farm. My mom grew up on the farm that David grew up on. We talk about David’s childhood and the farm stories he remembers about the good old days. Not all food and agricultural businesses are outdoor, traditional farms; that’s for sure. There is a segment of farm businesses that supply retailers and other growers plants for resale and for growing on. Lloyd and Candy Traven at Peace Tree Farm operate one of those unseen businesses. Peace Tree grows nearly one million herb plants and various other flowering annuals in a 60,000 square foot greenhouse complex. They are USDA Certified Organic. Their business has evolved away from food items though and now growth is coming from larger Botanical gardens like The Smithsonian, The Biltmore, The Brooklyn Botanic Garden and more. It’s a fact that you can make more money in agriculture selling stuff you can’t eat. Ornamentals, flowers, pumpkins and nursery stock all provide margins far superior to food items. Peace Tree Farm has evolved to some of both. Operating in a commodity business is extremely difficult. Farmers of all types must think about value added products to keep the farming business profitable. Think cheese, custom meat cuts, food processing, even the guacamole you see at local farmers markets. Take that raw agricultural product and turn it into something; that’s where the profit is. The Travens are doing just that by custom growing for a high end niche. They are a smart, hard working, successful couple in the agriculture industry. Visit JFR on Facebook or Twitter and leave a comment. Thanks for listening to JACK’S FARM RADIO! Join me in my second conversation about GMOs with Jon Entine from The Genetic Literacy Project. We go into more detail from episode number 8 as Jon shares his point of view on the ramifications of the use of genetically modified seed in agriculture. Michael Pollan and Gary Hirshberg are mentioned. Jon conceded there are valid concerns on the potential environmental impacts when using GMO’s. He expressed some great points from a health perspective. In a future episode of JACK’S FARM RADIO I’ll talk with someone qualified who has a different point of view on the health issues. I also want to talk to a geneticist and ask more about the potential of GMO product to cross pollinate into different species. I hope you enjoyed this first foray into the use of GMO in agriculture. Stay tuned for more from JACK’S FARM RADIO. Jon Entine from the Genetic Literacy Project joins me today to discuss his decidedly pro- point of view on GMO (genetically modified organism) seed and farming. This topic tends to bring strong emotional reactions no matter what side of the argument you are on. According to the USDA over 75% of corn, soybeans and cotton grown in the USA is GMO and the USA accounts for over half of the global production in acres. It is quite difficult to to get unbiased, trustworthy information about this controversial topic. The extremes seem to rule the information on the internet. The World Health Organization appears to take a fairly centrist point of view, recognizing that there have been no studies to overtly discredit the safety of GMO agriculture yet at the same time acknowledging there could be potential problems. They also have recommended protocols for the companies engaged in the modification process. As for me, I’m still not entirely sure what I believe on the subject. I have made what I consider the safest choice for now I LIVE IT; I own and opperate a USDA Certified Organic vegetable farm. No GMO seed is allowed. This episode is the beginning of my journey to talk with multiple people with multiple points of view about the subject of GMO. At some point I’m going to form a definitive opinion. Each person must make their own choice though and I recognize as a reasonable person, that the arguments for and against are not clear. The unintended consequences that are potentially harmful to the environment appear to be the biggest risks from my point of view. Uncontrolled pollination, what the WHO calls “outcrossing” seems to be a genuine issue. The potential effects of outcrossing or pollen drift, are highlighted in the fight by Organic farmers to prevent contamination by cross pollination. In another episode I will talk with an anti-GMO person and we’ll get their point of view. The food industry is fascinating. Thanks for listening to JACK’S FARM RADIO please subscribe at iTunes. Will and Kelly Smith moved onto the family farm three years ago. Since then they have been helping to transition the 150 acre mixed crop farm toward a more sustainable future. Visit Deep Roots Valley Farm on Facebook. 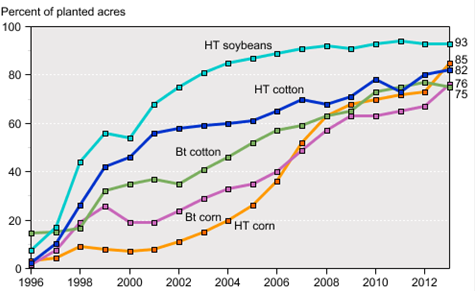 I’ve mentioned before that the average size farm in the USA is about 400 acres. Will is on 150 acres. 150 acre working farms are rapidly disappearing especially ones that are still trying to rely on row crops. I think 500 acres is about the minimum to make a row crop farm viable. Will and Kelly moved back to her family’s farm and are helping to transition it from a traditional crop and dairy farm to a grass based meat farm. Listen to the conversation for the details. Thank you to Tin Bird Choir for my intro and outro music check them out at www.tinbirdchior.com. If you listen through iTunes please take a minute to rate the show and leave a comment. Comments are my currency at the moment. Thank you for your comments this past week they mean a lot.